Property investment (and in that case nearly everything in life) can be a matter of trial and error, so wouldn’t it be great to have the beauty of hindsight now? 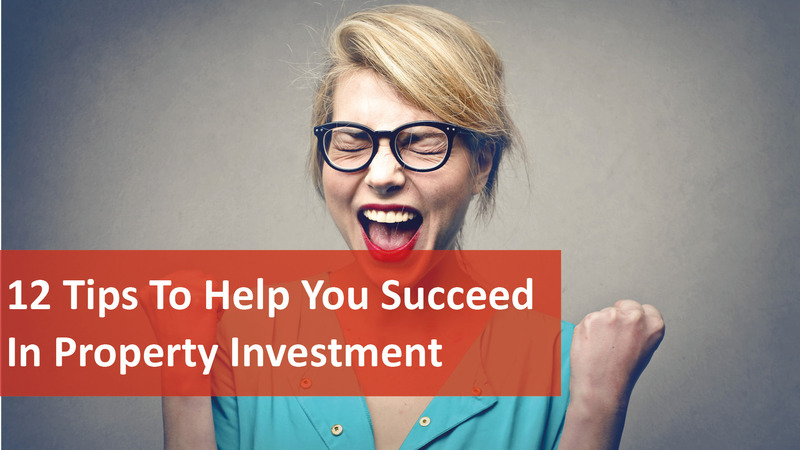 Here are 12 simple tips that can help you become a smarter property investor and hopefully avoid some of the pitfalls. It’s important to be the pilot in your life and not simply a passenger, as you are responsible for all the things that happen to you, both good and bad. Your actions and thoughts have an effect on your net results, so back your decisions and take full ownership of them. Setting goals and regularly reviewing them is one way to keep your focus on what’s important and to help you take action that will move you closer to toward where you want to go. It will also help in times when motivation may be lacking, reminding you of how much you’ve achieved along the way. When things happen in life that we don’t like, we can either choose to see them as a problem or as a solution waiting to be discovered. When you have a positive attitude instead of a negative one, you start to see things and viewpoints that were invisible to you before. If you want to increase the value you receive (be it money, love, kindness or opportunities) you have to increase the value you give. You never know where it may lead you! There seems to be three types of people – those who make things happen, those who watch what happens, and those that sit and wonder “what just happened?”. Be in the first group and always be on the lookout for opportunities to grasp. Just as you are careful about how and where you invest your money, you should also be careful as to how you invest your time. The Pareto Principle says that 80 per cent of the value we receive comes from just 20 per cent of what we do with our time. So what things do you spend your time doing that take a lot of energy yet deliver few results? Sometimes negative experiences, mistakes and failures can be even better than a success because they teach you something new which another win could never teach you. If you get it wrong, learn from your mistake and make it count by doing it differently next time. One “failure” can help you create many successes. What the most likely thing that’s going to happen? Time wasted worrying is time that could be spent identifying opportunities and taking action. When you compare yourself to others you let the outside world control how you feel about yourself. Instead strive to become the best you can be and look at how far you have come, what you have accomplished and how you have grown. That’s mainly because most of us get swept up in the optimism or pessimism of others. Of course, no two cycles are ever the same, but investors need to know that each downturn paved the way for the next boom just as each boom sets the scene for the next slump. Wealth is created by building a substantial asset base and holding onto good investments for a reasonably long period of time, reinvesting the income you’re receiving and allowing your capital gains to build up. An unforeseen event or situation that blows all our carefully laid forecasts away is why it’s critical to have a contingency financial buffer. This blog was written by Michael Yardney, CEO of Metropole Property Strategists and was originally published on Property Update. For more investment advice contact the knowledgeable and friendly We Love Rentals® team. To find your next investment property check out the For Sale listings from our friends at Naked Real Estate.